Although lighting is always an essential part of interior design, some designers do little more than include soft track lighting and perhaps a chandelier in the dining area. The lights in this post are so much more than practical. They provide light while also bringing creativity, art, and even humor into any room where they might be placed. 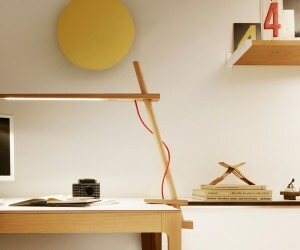 The lights from CoeLux manage to reproduce natural light indoors, using nanotechnology. 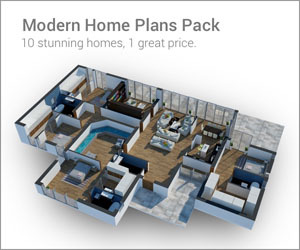 The photos here, according to the designers at CoeLux, are unretouched. More of an art project than a light fixture, designer Anila Quayyum Agha found inspiration for this intricate installation, from the exclusion that women experience in Islam as well as in Pakistan. There is no question where the inspiration for this chandelier. The metal structure is designed to be hung from a tree brand in winter so that it can collect water and become coated in real ice. This storm cloud light, which includes an interactive lamp as well as speaker, is not just beautiful, it is almost hypnotic. While these suspended lights are not necessarily as beautiful as some of the others included here, they have extra functionality: they actually play music. Beauty and function do not need to take the place of fun when it comes to lighting. These fixtures from The Play Collective and nothing if not fun. Made from perforated porcelain, with each hole drilled by hand, these balls of light creates beautiful patterns on the walls in the dark. Balloon lamps from CrousCalogero appear to be floating, hiding low consuption fluorescent bulbs inside. 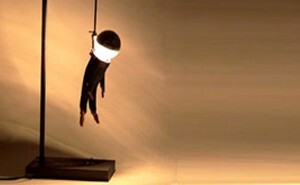 These balloon wall lights use the “balloon string” as the pull switch and are available for sale online. Simple and sophisticated, this suspended reading light is a gorgeous addition to any room. What better way to bring the deep blue sea into your above ground home than with these jellyfish lamps? 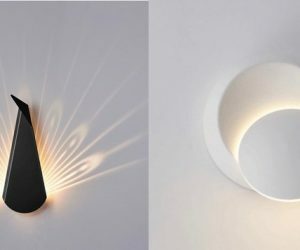 Flexible and etheral, these lights bring soft, soothing atmosphere into any room. In another ocean life inspired lamp, this glowing lamp has a spindly legs and an otherwordly quality. These gorgeous tree lamps are fantastical, if not the brightest option. 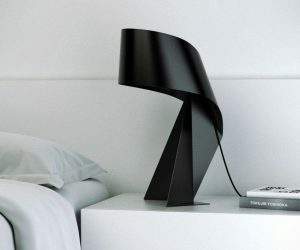 An adorable lamp would be soothing to anyone waking up to a dark night. This angler fish lamp was made from recycled objects and uses an energy efficient lightbulb. Another adorable night light, this one looks like a cutesy snail. Finally, this stunning dragon lamp calls to mind the best in medieval design with a modern sensibility. These beautiful fixtures, which the designers have named Shylight, are made to mimic the natural opening and closing of flowers at night. The lights are made of layers of silk, as well as stainless steel, aluminum, and LEDs, giving the lights an incredible graceful movement.